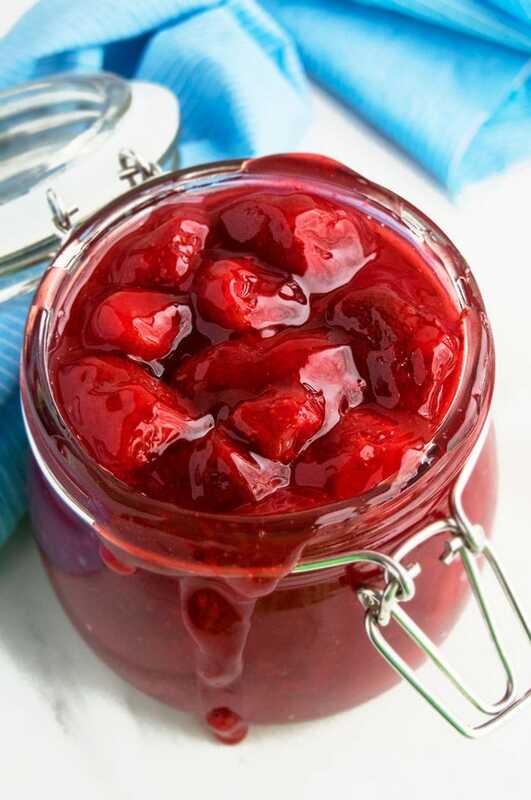 Quick and easy strawberry pie filling recipe, made with simple ingredients in less than 30 minutes. It’s great in many desserts like pies, cakes, cupcakes, cheesecakes and much more! 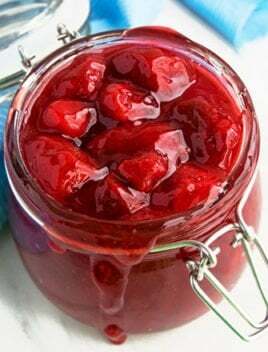 Strawberry season is here and one of my FAVORITE things to make is this strawberry pie filling. I use it in many desserts BEYOND just pies. 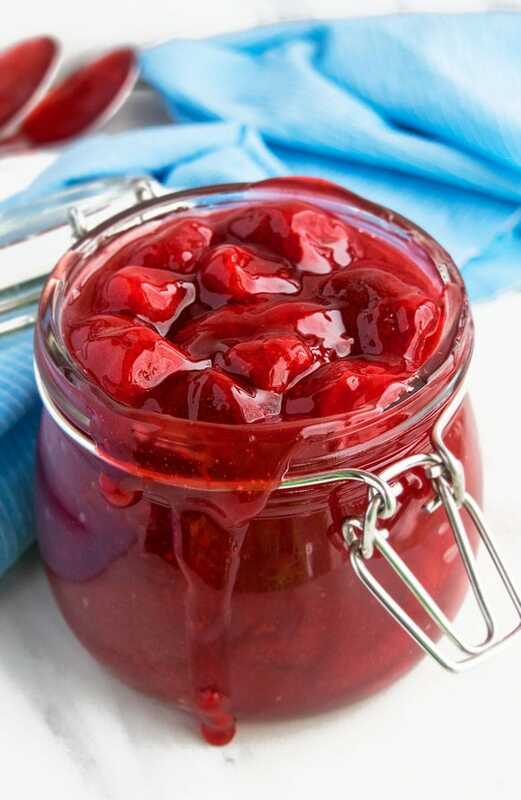 If you make a big batch, you can easily do some CANNING and enjoy it months later too. You must use Clearjel. DON’T use cornstarch because it will make the filling a little cloudy and it doesn’t can very well either. Don’t skip the blanching because that is required to stop certain enzyme actions, which would otherwise cause loss of flavor, color and texture. Red gel coloring is optional but I highly recommend it since it makes the filling very bright, vibrant and red. Don’t use frozen strawberries because that makes the filling a but watery. Use a non-stick pan to prevent burning and sticking. You can use a combination of berries instead of just strawberries. Rhubarb and raspberries are a great addition. 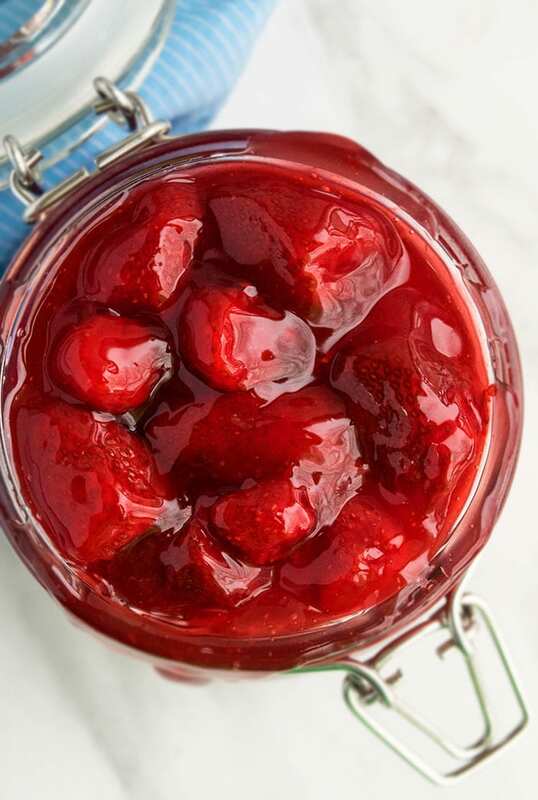 Quick and easy strawberry pie filling recipe, made with simple ingredients in less than 30 minutes. It's great in many desserts like pies, cakes, cupcakes, cheesecakes and much more! Now I have to make a pie! This looks so good! Hi, if ClearJel is not available where i live what can i use to replace it? Some people use cornstarch to thicken it or even tapioca flour/powder. ClearJel gives the best appearance, in my opinion. Do you have a strawberry pie filling that I do not need to can??? You don’t have to can it. It stays fresh in the fridge for a few days too.